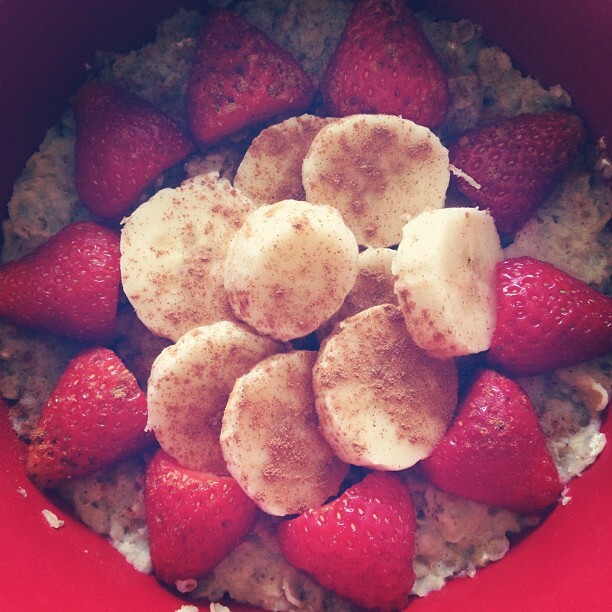 Organic porridge with almond milk, 1/2 banana, strawberries & cinnamon! We had some tiny strawberries in the fridge so I decided to switch from my usual blueberries...ha ha ha :) This was actually pretty good! My mom made pasta salad which she brought over last night so that I could have it the next day...it was delicious! 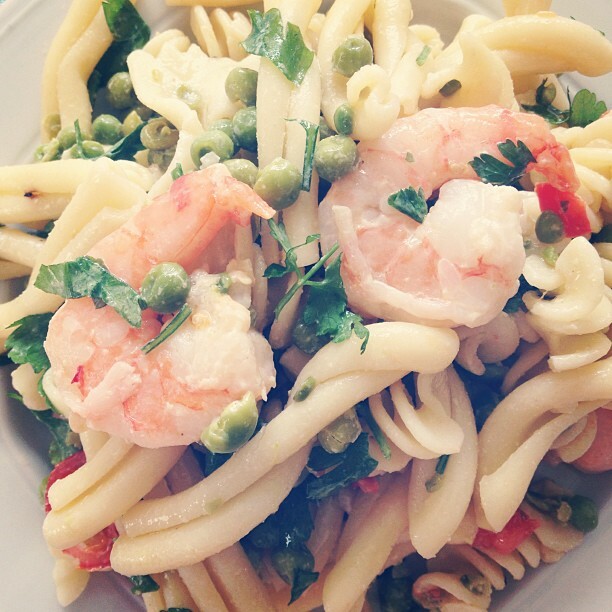 She used casarecce, fusilli, and farfalle and made it with prawns, peas, cherry tomatoes and flat leaf parsley...probably some olive oil and I think I tasted garlic as well but I might be wrong. 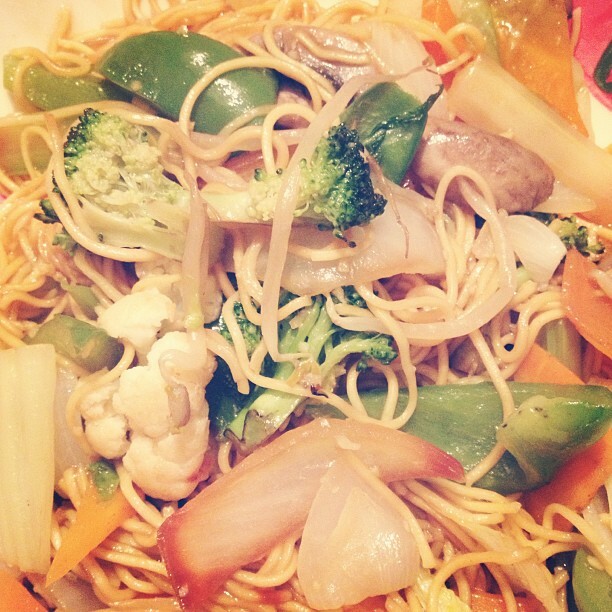 Either way it was yummy! 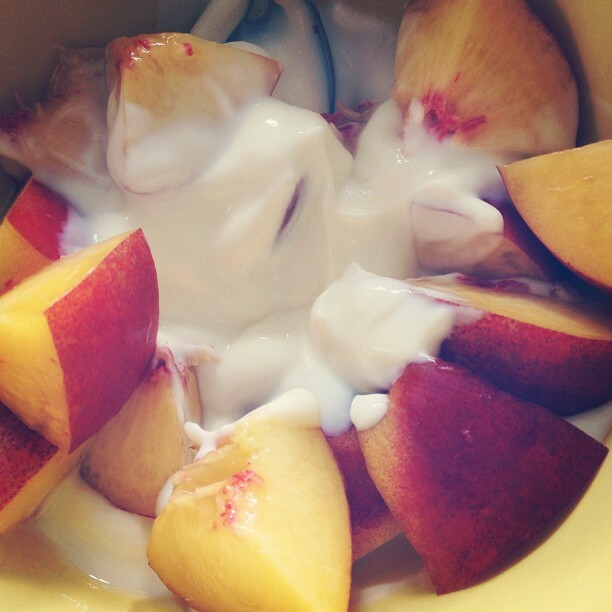 Emilia & I ended up having a late snack as we didn't have dinner till later on in the evening...we both had nectarines & I had mine with natural yoghurt.